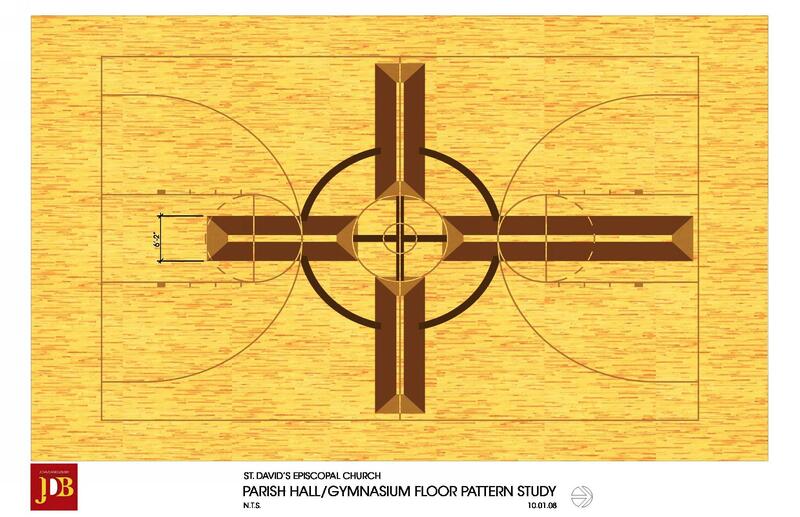 St. Davids Expansion – Do you see the gym floor layout ‘below’ the cross? Are you mentally walking to the foul line? At St. Davids the new Social Hall was also the new Gymnasium. We proposed a wood floor design suitable for both uses. It was a successful solution. The kids can play ball and the adults feel like they are in a social hall and religious space!